Smart Growth is a planning and transportation theory that concentrates growth and redevelopment in the center of a city to avoid urban sprawl. Smart growth places value on long-range, regional considerations of sustainability over a short-term focus growth. The goals of smart growth are to achieve a unique sense of community. Another objective of smart growth is to expand the range of transportation, employment, and housing choices. A key role in smart growth is to enhance the natural and cultural resources of the area. Many communities, large and small, have recently begun taking steps towards better smart growth planning. For instance, in Boone, NC a plan was recently adopted called "Boone 2030: The Smart Growth Plan for the Heart of the High Country." This plan will serve as a blueprint for the development and land use in Boone over the next 20 years. Boone's smart growth plan is designed to facilitate the public's input process and help develop the town's land use plan. This Smart Growth outline will include plans to aid in attaining environmental sustainability, affordable housing and historic preservation, and open space requirements. It will also aid in establishing an energy task force and developing a renewable energy plan. An alternative to Daniel Boone Parkway through the Bamboo Road area will be addressed as well as looking at downtown parking. It will develop a downtown master plan and establish park-and-ride facilities as well as addressing other community priorities. If you have more interests in Smart Growth, come to visit us in Boone! 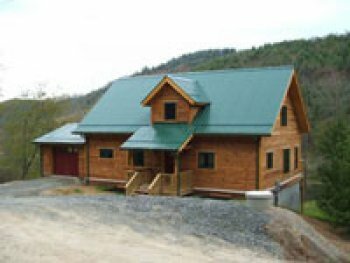 Mountain Construction are Green Builders that use Green Building practices in their Construction and Remodeling projects. If you are interested in Green Building, we have compiled a wealth of information for you to peruse including structural insulated panel use. You are welcome to reprint this articles on your website and in your e-newsletter provided that: you don't change the article in any way and you included the by-line along with a link to this website. See more photos of our work. For more information or a free in office consultation call us at (828)963-8090 or email us.